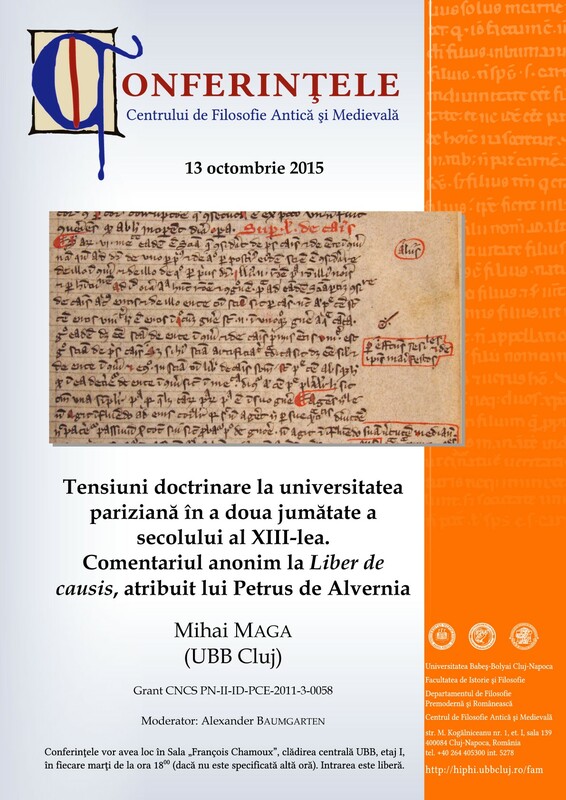 The Liber de causis is one of the texts which most influenced and fascinated the Latin authors for several centuries: conceived in the 9th century in Baghdad as a kind of compilation from several fragments of the Elements of theology of Proclus. The text circulated in the Latin world under the name of Aristotle before that Thomas Aquinas brings it closer of Proclus after the translation of the Elements of theology by Guillaume de Moerbecke in 1268. Specialized studies have investigated many of these aspects and revealed the doctrines that have had a significant influence on the development of philosophy and theology in the Western philosophy. During our research project, we intend to publish several Medieval Latin commentaries that we discovered.